The former Ambassador to Guinea and The Gambia to advise international oil and gas drilling contractors on working in Africa. Ambassador Jackson McDonald (Ret.  ), Executive Vice President of Jefferson Waterman International, will deliver the keynote address “Africa: Opportunities and Challenges” at the upcoming Drilling Africa Conference and Exhibition of the International Association of Drilling Contractors (IADC), 24-25 October 2012. In his address, Amb. McDonald will offer oil and gas drilling contractors recommendations for navigating the complex realities of operating in Africa. Amb. McDonald brings to his presentation extensive on-the-ground experience in Africa, which includes service as the U.S. Ambassador to Guinea and to The Gambia, and as the Deputy Chief of Mission at the U.S. Embassy in Côte d’Ivoire. Amb. McDonald has received the U.S. Department of State’s Superior Honor Award seven times, and most recently was honored with its FY-2010 Presidential Meritorious Service Award. At JWI, Amb. McDonald advises the firm’s international commercial and government clients. He is also a member of JWI’s Africa Advisory Board. The IADC is a membership organization of international contract drillers. Its members own most of the land and offshore drilling units drilling the vast majority of worldwide oil and gas wells. The IADC’s conference is being held in Lisbon, Portugal.